Data Security Compliance – Which Laws are applicable to me? Are you confused by the various laws that govern information security? Do you know how to comply with those regulations? If you are uncertain….please read on! While there are many laws that govern information security and protection, the guidelines on how to delete or eliminate end-of-life data are very open-ended. There are no specific definitions or guidelines on methods to destroy data as most simply say to delete all end-of-life data in an effective way. End-of Life data resides on all forms media. From paper to optical media to hard disk drives to data tapes to solid state devices to older forms of media like microfiche or floppy disks etc. SEM has been providing effective data elimination solutions, since 1967. The Federal Government is very specific when it comes to National Defense. If data is Top Secret or Classified, it must be destroyed to defined particle sizes established by the National Security Agency (NSA). But with other information such Un-Classified (CUI) or Sensitive (PII – Personal Identifiable Information), the Government recommends that it be shredded with a cross-cut system (for more information on Govt. guidelines refer to the NIST 800-88 Guidelines for Media Sanitization). SEM’s primary focus has been providing solutions to eliminate Top Secret and Classified information relating to National Defense. These systems must meet very strict guidelines that are mandated by the NSA (National Security Agency). As more and more laws developed over the years, many of the same solutions have become relevant in the private Industries defined above. 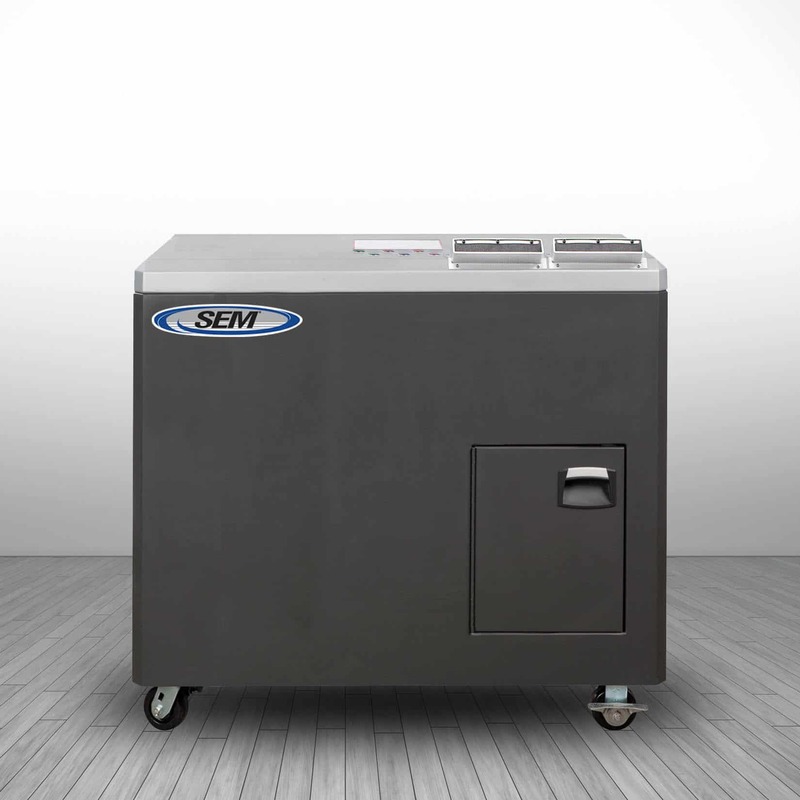 Depending on the level of security required, SEM has a solution. Systems like our high security paper shredders to meet the NSA level Top Secret demands or high volume cross-cut paper shredders are very effective for compliance with all of the guidelines suggested in the private industry laws. Other equally effective solutions include magnetic media degaussers to completely erase data on magnetic media like hard disk drives and/or back-up data tapes as well as systems like optical media destroyers, hard drive shredders/crushers and solid state disintegrators. So…if you need some advice on a system that can effectively eliminate end-of life information in accordance with the laws that govern your industry….look no further than SEM. We’d be happy to share our 50 plus years of experience and direct you down the right path.